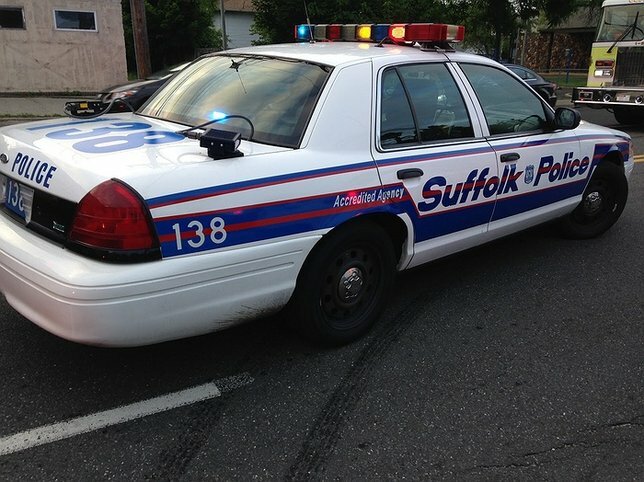 Suffolk County Police First Squad detectives are investigating a two-car crash that killed a woman this afternoon. Marie Novak, 85, of Lindenhurst, was transported to Good Samaritan Hospital Medical Center in West Islip where she was pronounced dead. Lindenhurst, NY - May 14, 2016 - Suffolk County Police First Squad detectives are investigating a two-car crash that killed a woman this afternoon. Ronald Scagnelli, 20, of Lindenhurst, was driving his 1988 Pontiac Firebird northbound on Straight Path when his vehicle collided with a 2004 Hyundai Elantra that was traveling westbound on 47th Street in Lindenhurst at approximately 1 p.m. The driver of the Elantra, Mary Mazur, 86, of Lindenhurst was transported to Good Samaritan Hospital Medical Center in West Islip where she was treated for minor, non-life-threatening injuries. Her passenger, Marie Novak, 85, of Lindenhurst, was transported to Good Samaritan Hospital Medical Center in West Islip where she was pronounced dead. Scagnelli was transported to Good Samaritan Hospital Medical Center in West Islip where he was treated for minor non-life-threatening injuries. North Lindenhurst Fire Department and Copiague Fire Department transported the victims. Subject: LongIsland.com - Your Name sent you Article details of "85-Year-Old Woman Killed in Motor Vehicle Crash in Lindenhurst"